Librede’s yeast based cannabinoid production and drug development platform. In September, the New York Times reported that THC can be produced from yeast. 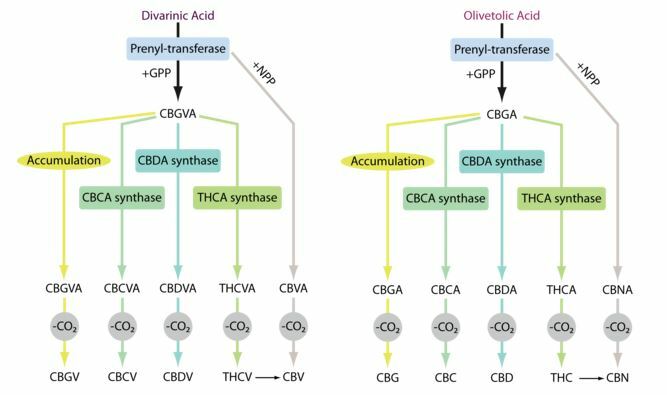 It turns out that not only THC but many of the cannabinoids as well as terpenes can be developed using a process known as biosynthesis. Unlike with synthetic cannabinoids, which are made in a lab and may not truly replicate the natural cannabinoids, scientists are able to produce the compounds at potentially a fraction of the cost using natural growth processes. While the topic hasn’t generated substantial attention in the general media or even in the cannabis industry, the implications for the industry could be profound. Last month, cannabis investment fund Tuatara Capital disclosed an investment into CBC Technologies, part of a $7mm capital raise for the Florida-based company. The New York Times article had mentioned Hyasynth Bio and Anandia Labs as pursuing biosynthesis, both awaiting approval from the Canadian government at the time. Today, San Diego-based Librede reported that it has received a $221,000 Small Business Innovative Research (SBIR) grant from the National Center for Complementary & Integrative Health (NCCIH) of the National Institutes of Health (NIH), which is a big validation of the technology. Dr. Jason Poulos, CEO of Librede, said that the company is looking to raise $1.3mm in the near-term to develop the strain of yeast and would then invest up to $20mm for a commercial scale facility that could come online by 2020. Librede recently won the pitch competition at MJIC’s cannabis conference in San Francisco. While the demand for the cannabis flower will likely always persist, the rapidly growing extracts and edibles categories could transition to biosynthetically produced ingredients. Perhaps even more importantly, the biotech industry could use the technology, especially as it relates to cannabinoids that are expressed in cannabis to a much lesser degree than THC or CBD, like CBDV, which GW Pharma (NASDAQ: GWPH) is studying for treating epilepsy but isn’t readily available in the cannabis plant. If the infused products makers adopt biosynthesis for the production of cannabinoids, cannabis cultivators could be at risk of overbuilding to the extent the market continues to move from flower to extracts and edibles. At present, much of the cannabis grown is already going into extracts, and this business could be replaced by cheaper, more standardized biosynthesized cannabinoids and even terpenes. While the risk to cannabis growers is a longer-term one, investors and entrepreneurs should monitor the potential threat of this new technology as they make their investment plans, as a large part of the industry may be served by cannabinoids produced beyond the cannabis plant. Discuss the threats and opportunities of biosynthetic cannabinoids in Cannabis Investors & Entrepreneurs LinkedIn group.